Property 6: Stunning and peaceful Penthouse Apartment with Sea Views from all windows. 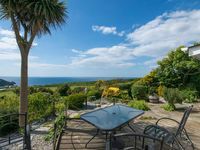 Property 9: Stunning coastal views! Property 14: Enjoy panoramic sea glimpses from this Penthouse apartment, less than a 1-minute stroll to shops. Property 16: A peaceful ground floor apartment within our refurbished Sussex barn. Property 25: Chestnut Apartment in Cotswold village of Bourton. Property 26: Fantastic barn conversion with two round rooms! Property 30: ‘Glorious Goodwood' & Central Chichester Location! MARY POPPINS PENTHOUSE FLAT - VIEWS ALL ACROSS LONDON! Property 32: MARY POPPINS PENTHOUSE FLAT - VIEWS ALL ACROSS LONDON! Property 35: Stunning seaside bijou apartment completely renovated and refurbished. 18 Slade Court - stunning ground floor apartment close to the cafes and beaches in West Runton. Property 38: 18 Slade Court - stunning ground floor apartment close to the cafes and beaches in West Runton.